Central European in appearance and spirit, Zagreb bears the hallmark of centuries spent under Vienna and Budapest but remains staunchly Croatian. Visitors to the capital of one of the newer members of the European Union will find an ever-increasing choice of plush accommodation and chic bars and restaurants, as well as the chance to see some of Croatia's most important cultural sights. Mount Medvednica rears up to the north of the city, which sits on a plain overlooking the Sava River. Picturesque Gornji grad (Upper Town) is made up of higgledy-piggledy cobbled streets and buildings dating from medieval times up to the 19th century. In contrast, Donji grad (Lower Town) follows a geometrical grid-plan, with a series of green squares rimmed by Austro-Hungarian buildings erected from the late 19th century onwards. The city is fuelled by caffeine: indeed, Zagreb’s café culture rivals that of Vienna. It’s not a place of Starbucks and people huddling behind their laptops nursing large lattes. Cafés are Zagreb’s pulse - they’re where people go to chat, get powered up on espresso and dress for the occasion. On Saturday mornings, you can witness the Zagreb ritual of špica, when style-conscious people put on their smartest clothes and saunter from café to café in the streets of Trg Petra Preradovića and Bogovićeva. On warm evenings, everyone (locals and tourists alike) head for the dozen or so cafés that line pedestrianised Tkalčićeva street in Gornji grad. Café terraces are squeezed into every available space in front of low pastel-coloured neoclassical houses. It’s reminiscent of the historic centres of Prague and Budapest – but with only a fraction of the crowds. 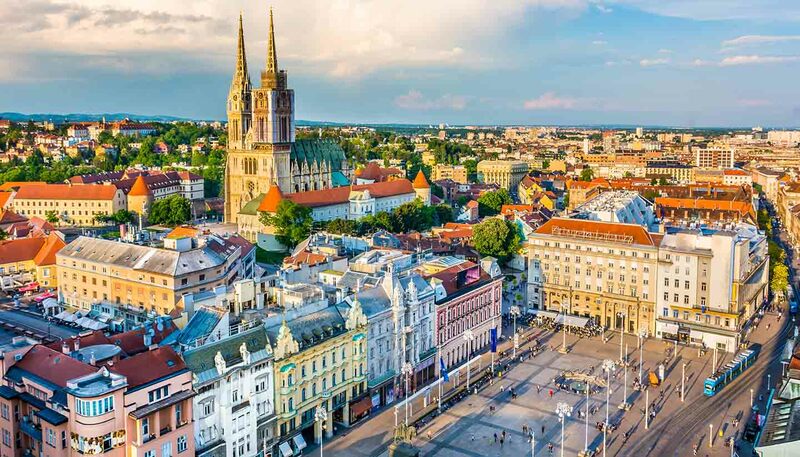 As more low-cost flights come to Croatia’s capital, visitors are realising that Zagreb is an appealing destination in its own right, and that there’s much more to this friendly and hospitable country than its coastal resorts.